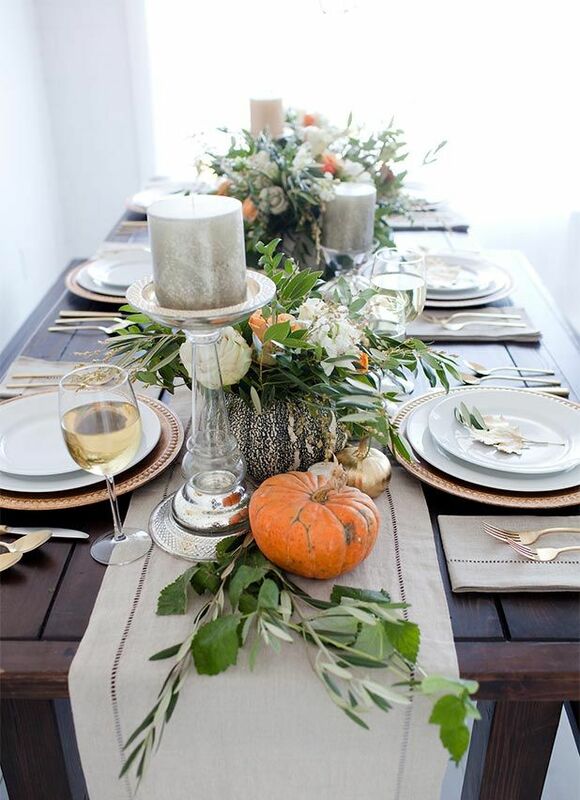 After you’ve cooked all day, the last thing you want to do is race to setup the table so that your Thanksgiving dinner guests can enjoy the meal. 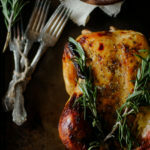 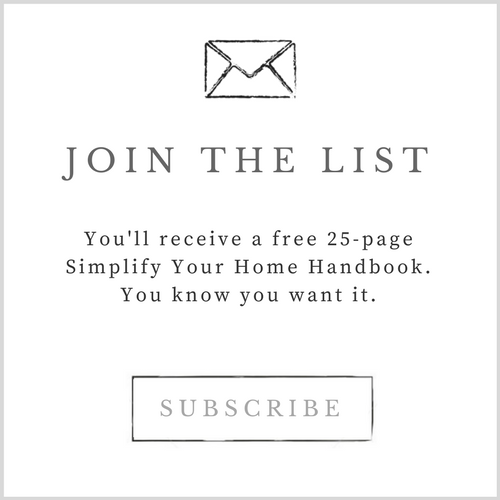 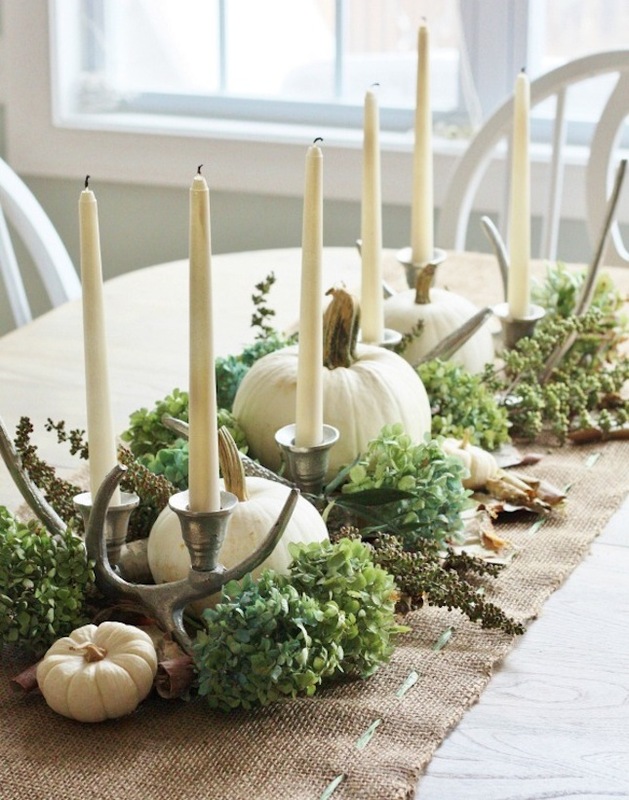 This year, why not set the Thanksgiving dinner table the night before the big day? 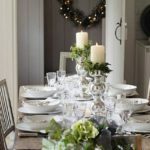 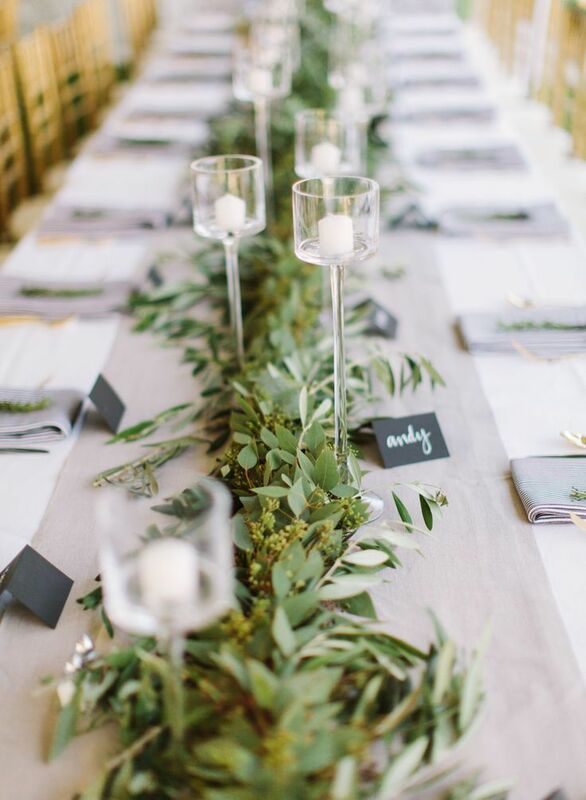 By having the table set before the guests arrive, you can focus on preparing the meal and spending time with family and friends. 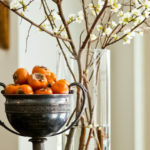 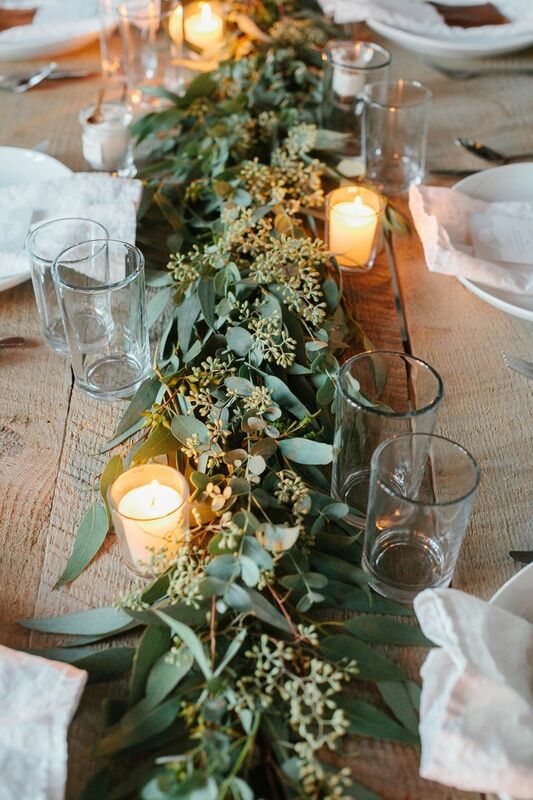 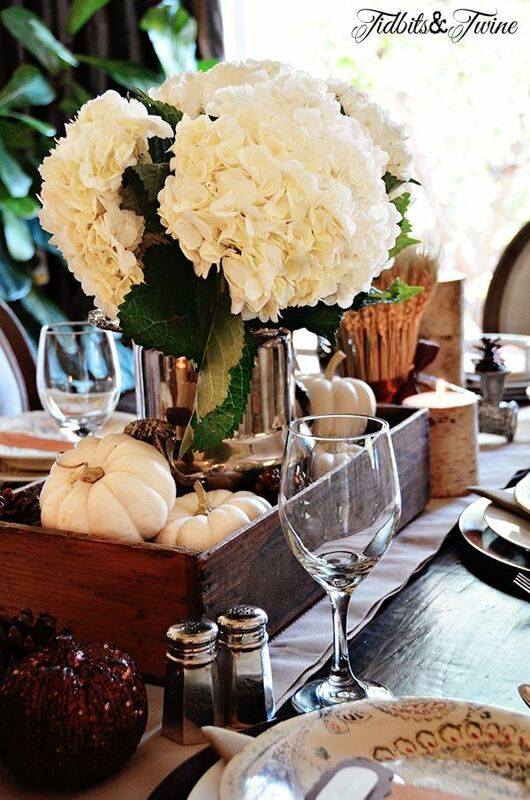 From herbs to rustic containers, gourds to flowers, there are so many different items that you can use to spruce up your Thanksgiving table. 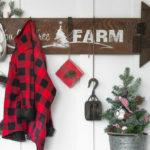 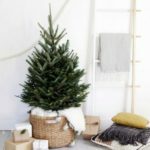 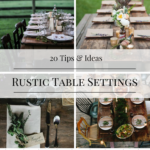 In my opinion, the more rustic the better. 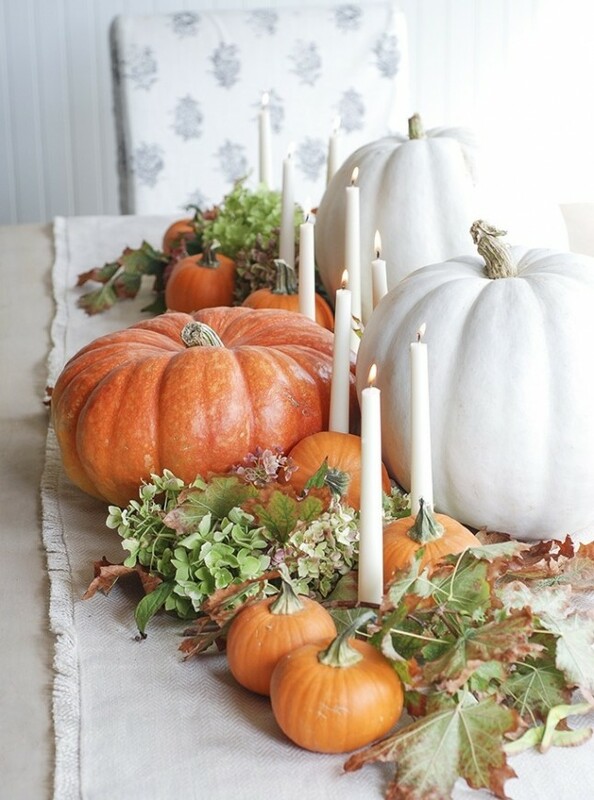 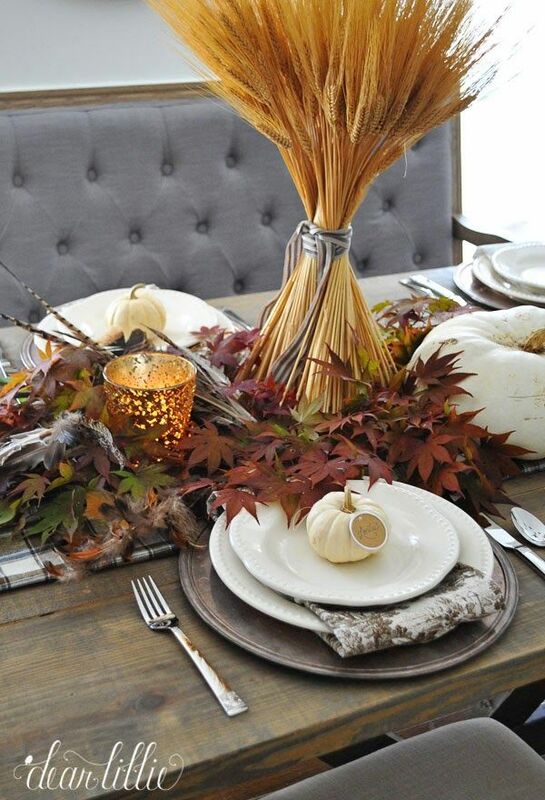 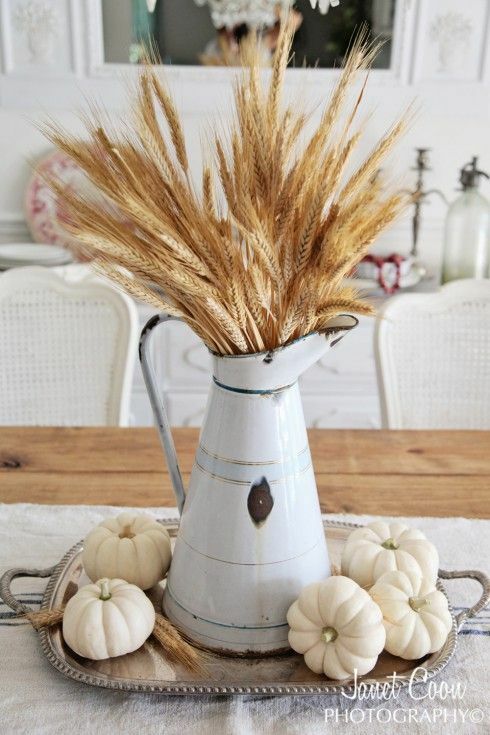 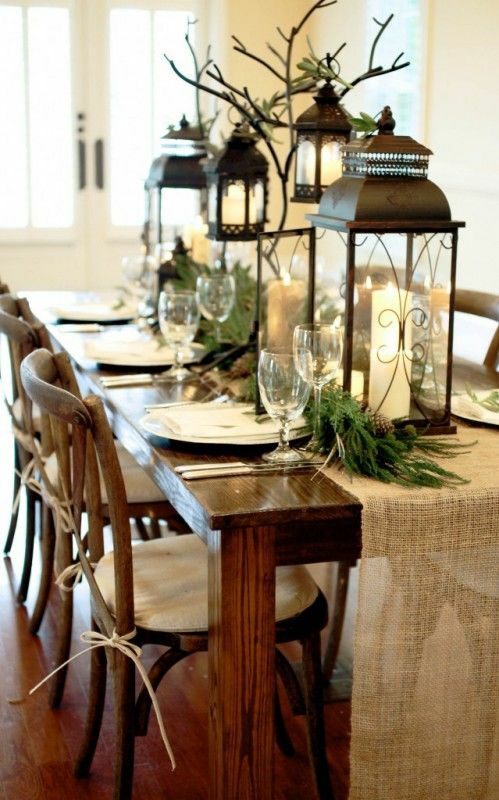 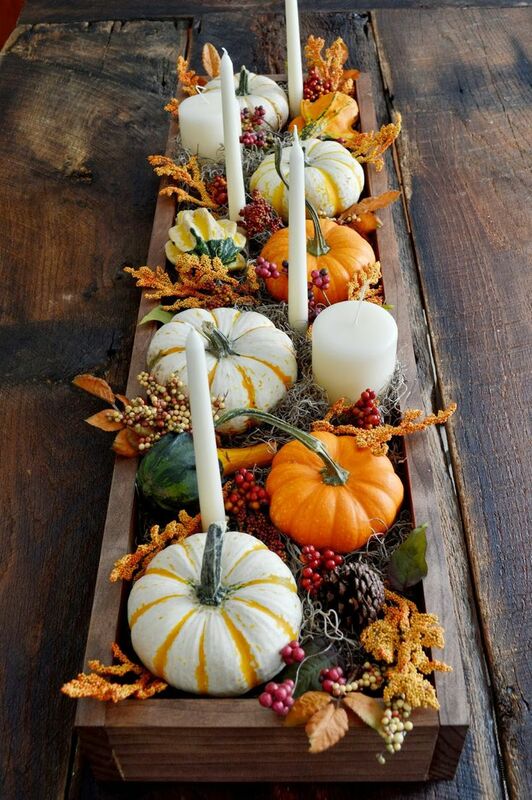 So, grab those gourds, mason jars, and candles to help you decorate your tabletop for the big Thanksgiving feast. 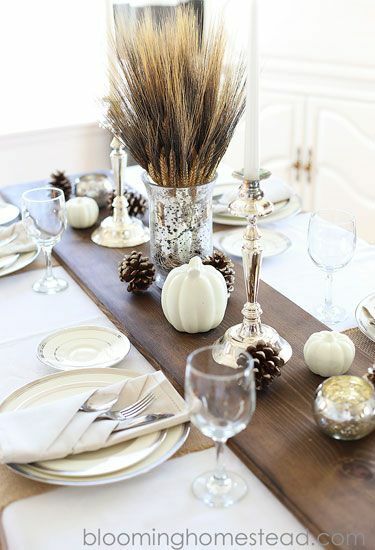 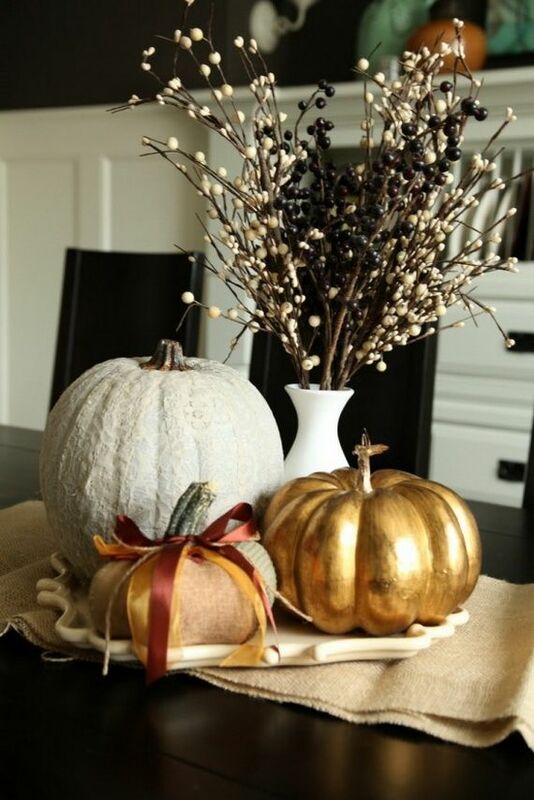 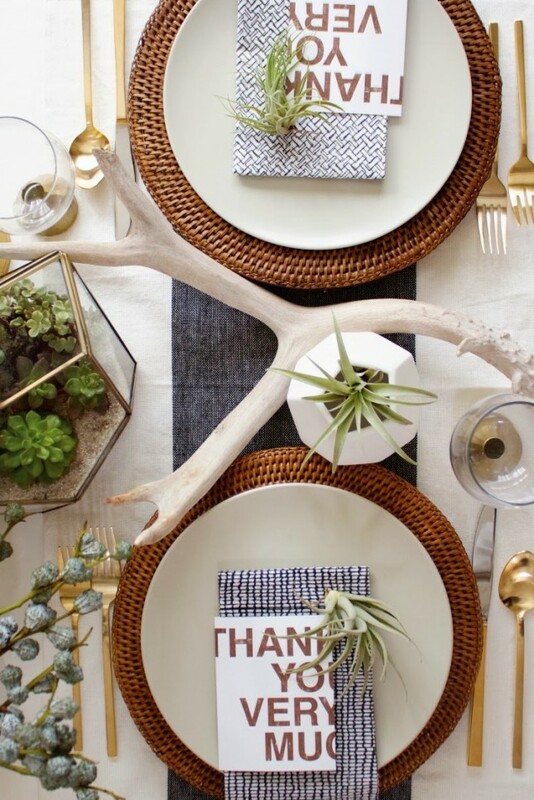 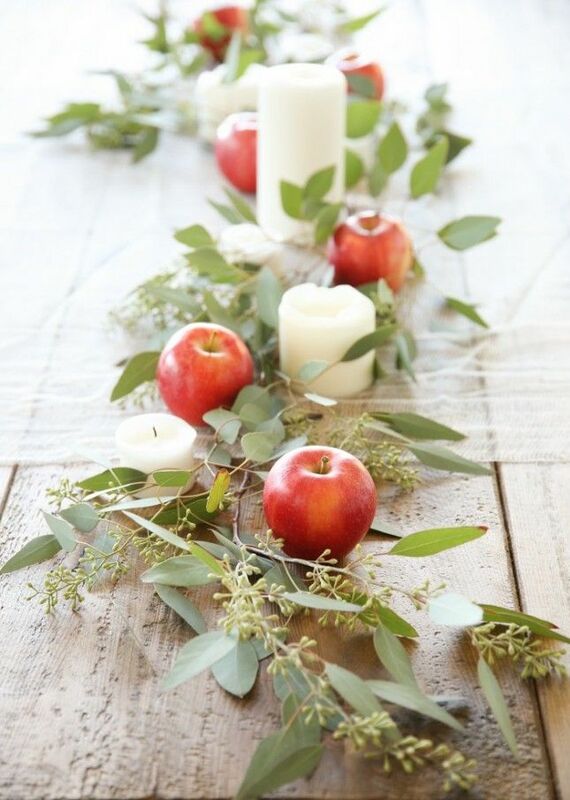 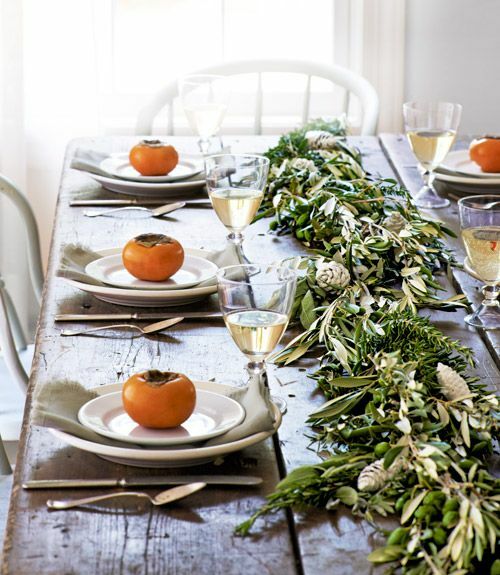 How do you plan on decorating your table this Thanksgiving?